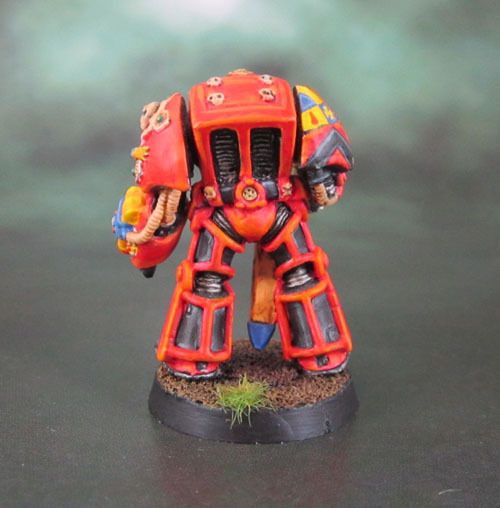 RTB09 Blood Angels Terminator Captain – An Oldhammer Blast from the past. (1989) | Azazel's Bitz Box. 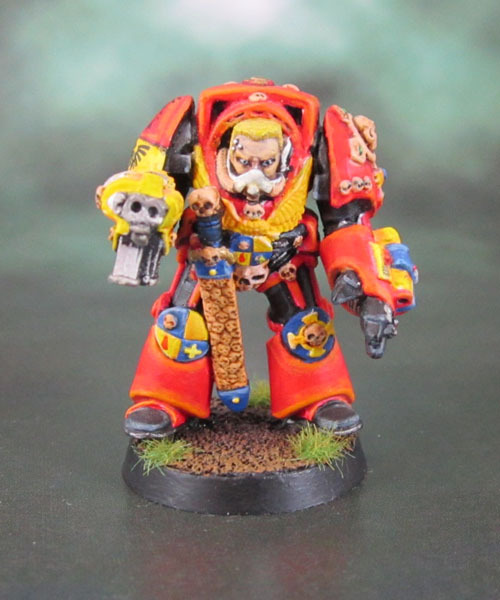 This entry was posted in 40k, Blood Angels, Oldhammer and tagged Blood Angels, Terminator Captain. Bookmark the permalink. So bright and clean!! Hehe. 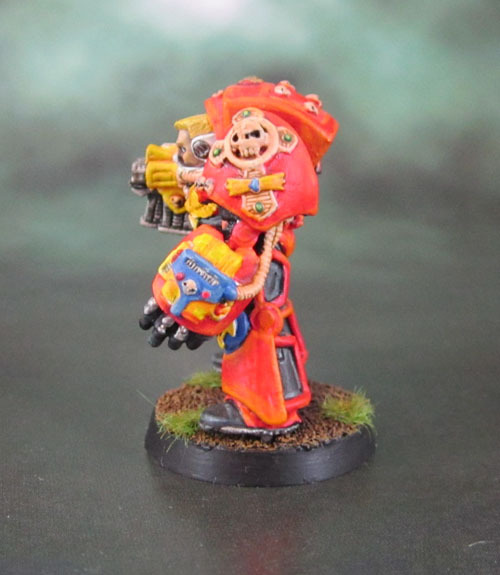 I’ve always preferred the dirty war torn battle damaged look but this model is striking. The details are great. Not a worry! 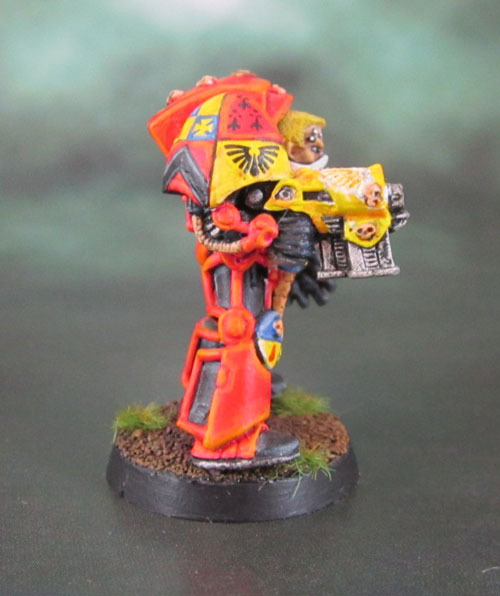 The heraldry (and the red/black) are the parts of the model which are sacrosanct. I’ve got to figure out a base for him that won’t make him look tiny. A 32mm one would probably be perfect, but I should really go 40mm. Go 40 and maybe work in some scenic elements? Yeah, I’ll see what I have in resin. Thanks mate – Yep, I think black will work for the casing. I think the issue with the chest eagle is the brightness of the yellow. Ideally I’ll try to desaturate it a little. We’ll see how it goes. I’ve got a fair few more relics to show off bit by bit in between army painting which seems to be my main focus for 2016. 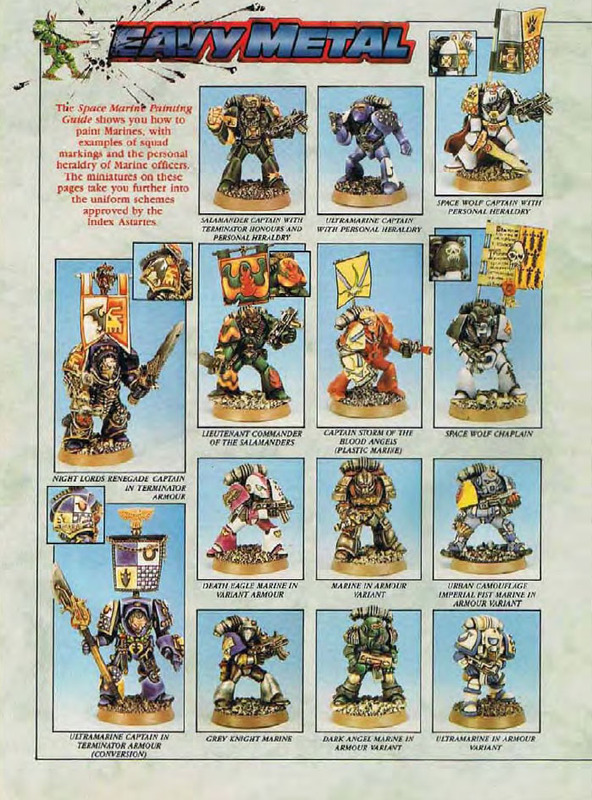 A bit too colourful for me, but I get that WH40k was not all about the grimdark ;). 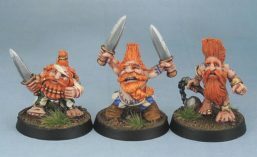 I would go for a full repaint, but it is true that it would a shame about the freehands. Maybe a partial repaint is thus better or at least to paint over the freehands to have them as an aid..
I’ve got at least one of this model completely bare, so it’s just a renovation for him – no point in a full strip and repaint on these old figures unless there’s nothing of value in the old work. With the bright blue and yellow taken care of, the red will still be quite luminous, but the tone of the model will come right down.